Jeff Sessions says there's more violence around marijuana "than one would think"
The Justice Department will try to adopt “responsible policies” for enforcement of federal anti-marijuana laws, Attorney General Jeff Sessions says, adding that he believes violence surrounds sales and use of the drug in the U.S. 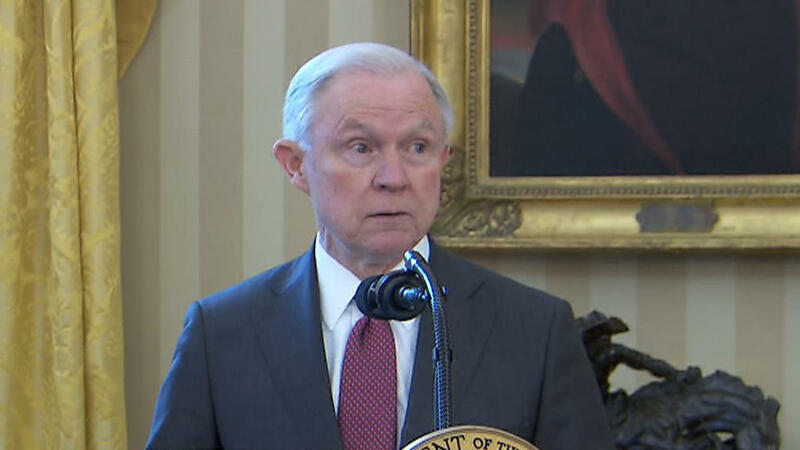 In a meeting with reporters Monday, Sessions said the department was reviewing an Obama administration Justice Department memo that gave states flexibility in passing marijuana laws. Eight states and the District of Columbia have legalized marijuana for recreational use. The Justice Department has several options available should it decide to enforce the federal law, including filing lawsuits on the grounds that state laws regulating pot are unconstitutional because they are pre-empted by federal law.